We engineer and manufacture dry type transformers for underground flameproof mining and surface applications. Our dry type transformer designs ensure maximum reliability and minimum maintenance requirements over a long operational life. We design and manufacture custom transformers for a range of applications including rectiformers for traction, refining and smelting applications, transportable transformers for emergency applications as well as transformers using alternative and environmentally friendly oils. Our oil filled power transformers are supplied to electricity networks, mine sites, office buildings, transport systems, manufacturing facilities, processing plants, tunnelling projects – everywhere a power supply is required. Our Power Transformers are custom engineered to provide the most appropriate technical solution individual project needs. Overhauling or upgrading your transformer can be a cost and time effective alternative to capital expenditure on new equipment. 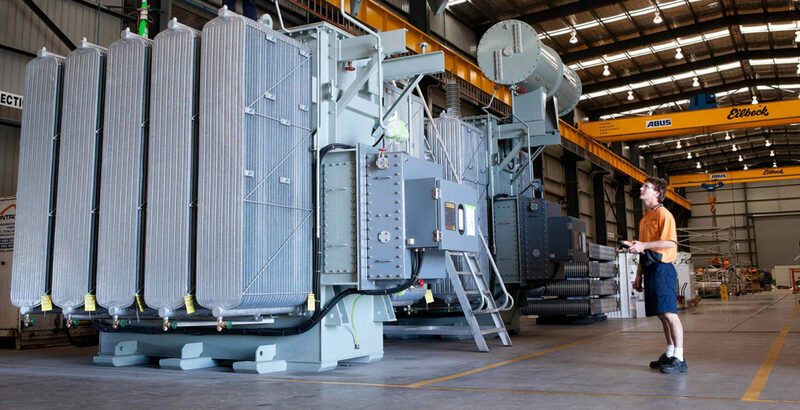 Our Australian transformer workshops in New South Wales and Queensland, have the capacity to overhaul transformers up to 75MVA, 132kV weighing up to 80 tonnes. We’re dedicated to ensuring your transformer performs optimally through the provision of a range of testing and maintenance services. 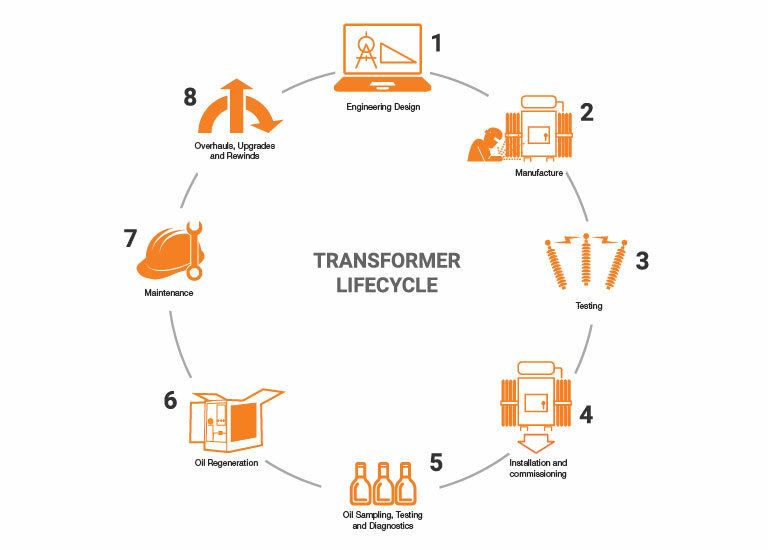 Whitepaper: What Makes a Transformer Cost Effective?